while i don't want to be too picky when choosing a significant other, i also never want to feel locked into something where i feel stuck. where is the healthy medium? i first fell in love with this quote after seeing the perks of being a wallflower... and it really started getting me thinking. the way we are treated is dictated by ourselves. if you feel like you aren't being treated right, the only thing holding you back from walking away is yourself! don't settle for less than you deserve & don't cut yourself short. 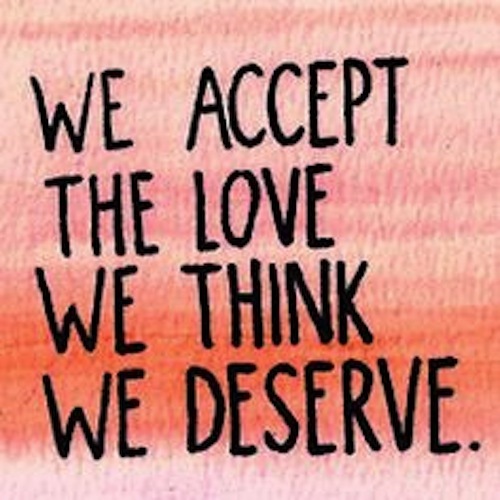 at the end of the day... we only accept the love we think we deserve.